An idea to establish a Press Club in Jammu was conceived way back in January, 1992, in the glowing minds of a few Jammu based young working Journalists. These young men had imagined a full fledged Press Club in the City of temples, where, their colleagues could sit and find ways for the betterment of their fraternity and also create infrastructure for their recreation after their tiring professional and hectic activities. The veteran journalists of the state supported their cause and came forward to guide the young journalists. Hence, to seek the guidance, a meeting of the stalwarts of the journalistic field like, Mr. Shyam Koul, Mr. Ved Bhasin, Mr. M. L. Kak, Mr. Kamal Rohmetra, Mr. R. C. Ganjoo, Mr. Mr. M. L. Koul, Mr. O. N. Koul, Ashwani Kumar, Mr. Ashok Handoo Mr. Sanjeev Pargal, Mr. AshokSodhi, and Mr. Suresh Duggar was held in the Tourist Reception Centre, Jammu on January,09, 1992. They constituted a Press Club Committee, consisting of 5 journalists, Mr. M. K. Bangroo, Mr. Raju Kerni, Mr. Manu Shrivatsa, Mr. Shakeel Akhtar and Mr. Kamal Rohmetra to keep liaison with the senior Government Officers and seek help from them to create the infrastructure for setting up of the Press Club in Jammu. The Committee met the Advisor to the Governor, Mr. Hamid Ullah Khan, Commissioner/ Secretary, Information, Mr. Vijay Bakaya, in this context and discussed the dire need of setting up of the Press Club in Jammu. The Committee, later met the then Governor, H.E., Mr. G. C. Saxena, who assured them of all the help to set up the Press Club. Ultimately, the Committee succeeded to get favour of the then Chief Secretary, Mr. Ghulam Rasool, who helped them in constructing a building to set up a Press Club near Exhibition Ground, Jammu with the financial help of the State Information department. The then Joint Director of Information Mr. K. B. Jandial played a very important role in setting up of the Press Club in Jammu. 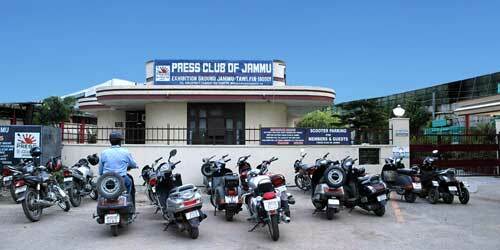 After three long years, the Press Club of Jammu was finally established in a small building, constructed by the State Information department in March, 1995, with a score of its primary members. Later the number of members grew gradually and this accommodation proved insufficient. Again the Government was approached to handover the JDA's building of closed India Coffee House near the existing Club building, which was handed over to the Club in April, 1997. 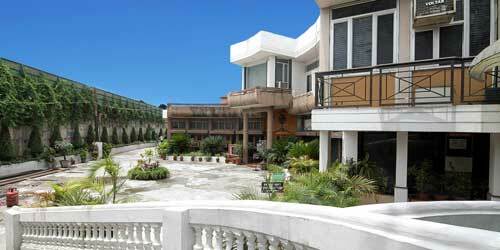 The existing Club building was inaugurated by the then Chief Minister, Dr. Farooq Abdullah, on November, 12, 1997. Which is now on its way to progress day in day out. The affairs of the Press Club are run by a democratically elected 11- Member Managing Committee for two years. The Committee consists of 4, office bearers and 7, executive members.